On March 12, 2019, Christopher Daley presented an in-depth program on the Irish immigrants who came to Boston. He gave us wonderful photos and detail on how they influenced and impacted our history — from the mid-17th century through the 1950s. On February 26, 2019, Michael B. Grogan, President/Chief Auctioneer for Grogan & Company — and two of his colleagues — shared wonderful stories about the auction/antique business and how it has changed over the years. They then provided verbal appraisals for the paintings, jewelry and silver that people had brought to the program. On January 8, 2019, Sarah Sycz Jaworski, Community Engagement Assistant for Historic New England, talked about the massive hurricane that hit New England on September 21, 1938. The hurricane came as a surprise to New England residents – and was one of the most destructive storms in American history. 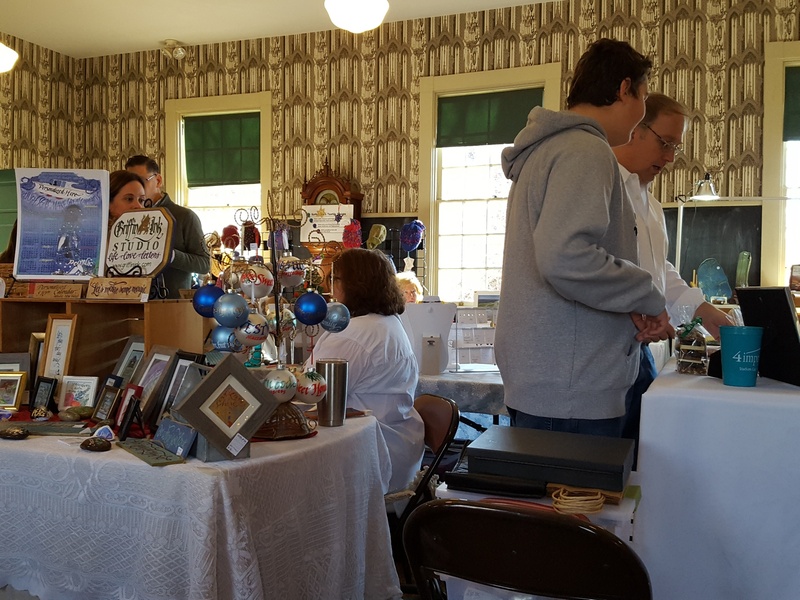 On November 30 and December 1, 2018, Westwood Artists held their third annual December Marketplace at the Westwood Historical Society’s Fisher School. Westwood Artists is a coalition of visual artists and craft people working in many media types and all living in Westwood. Click here and here for photos from the event. 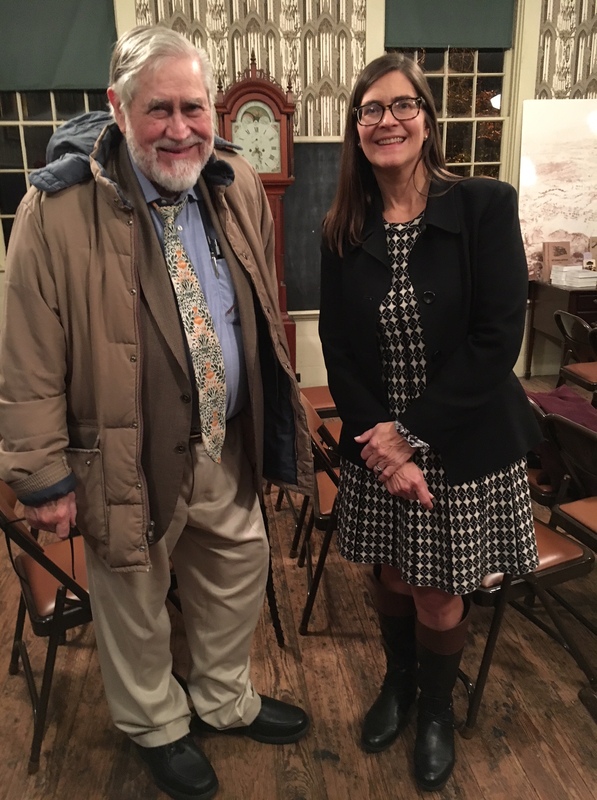 On November 13, 2018, Sloane Awtrey, Research Intern for Decorative Arts, Arts of the Americas at the Museum of Fine Arts gave a wonderful presentation on Rufus Porter and his many pursuits during his long lifetime (including self-taught artist, inventor, publisher and adventurer). Most importantly, she described and showed many examples of the murals that Porter painted in six Westwood houses. Click here for a photo of Sloane Awtrey with Jonathan Fairbanks (“historian extraordinaire”). On October 9, 2018, William Martin talked about his intriguing book, Back Bay, a historical fiction novel that follows six generations of a Boston family through tales of mystery and intrigue. As Martin says: “Boston is a city where you feel history vibrating beneath your feet” – and this novel allows us to share the experience through the eyes of the fictional Pratt clan. Charles Donahue oversees our School Program each May. In preparation, the Fisher School is transformed into a historic classroom with antique school desks and chairs plus a dunce cap and stool. We welcome every Westwood third grade class to an 1800s School Day. Students dress in period clothing and bring an old-fashioned lunch (no plastic wrap allowed!). During the day, they step back in time to read from McGuffey’s Third Reader, use individual slates to complete problems from Warren Colburn’s 1847 arithmetic book, write with quill pens and ink, participate in a spelling bee and play old-fashioned games. Watch the video for some great clips from a past 1800s School Day, courtesy of the Westwood Media Center: (https://www.youtube.com/watch?v=YPIgupyGRZ4 ). On April 24, 2018, Doug Most shared the amazing story of the building of Boston’s MBTA system. Doug is the author of “The Race Underground: Boston, New York and the Incredible Rivalry” and he intrigued us with his stories of two brothers from one of the nation’s great families – Henry Melville Whitney of Boston and William Collins Whitney of New York – each pursuing the dream of digging America’s first subway. 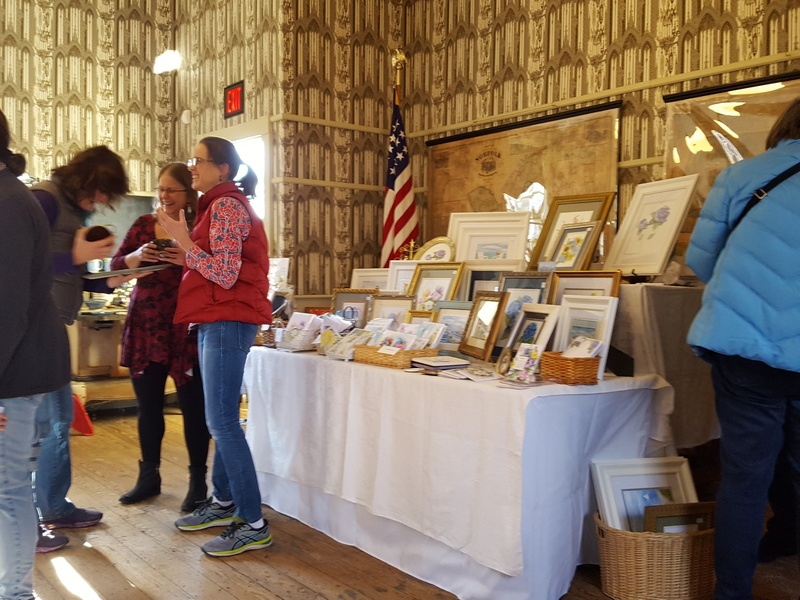 On March 20, 2018, Nancy Carlisle presented a program on the history of ceramics in New England. Nancy is Senior Curator of Collections at Historic New England and gave us the history of ceramics dating back to ancient times. She had wonderful stories to tell about the ceramics that have been found in local historic homes and those that have been showcased in museum exhibitions.